Hawtan Leathers, a manufacturer of fine leather whose headquarters is located in Newburyport, Massachusetts, will be participating in the 2017 Emmy Awards as a gift bag sponsor, part of the 2017 Red Carpet Celebrity Luxury Lounge in Los Angeles, California on September 12, 2017. The event highlights luxury products and services via VIP gift bags given to high-profile Emmy nominees, celebrities, celebrity stylists, media, and press attending the Emmys this year. Hawtan is sponsoring 150 leather bracelets made by one of its customers, Haiti Made, a Haitian artisan company. Haiti Made will be donating the bracelets as part of the gift bags given to VIP celebrity participants including nominees Viola Davis, Robin Wright, Anthony Hopkins, Live Schreiber, Kevin Spacey, William H. Macy, Nicole Kidman, and Julia Louis-Dreyfus. 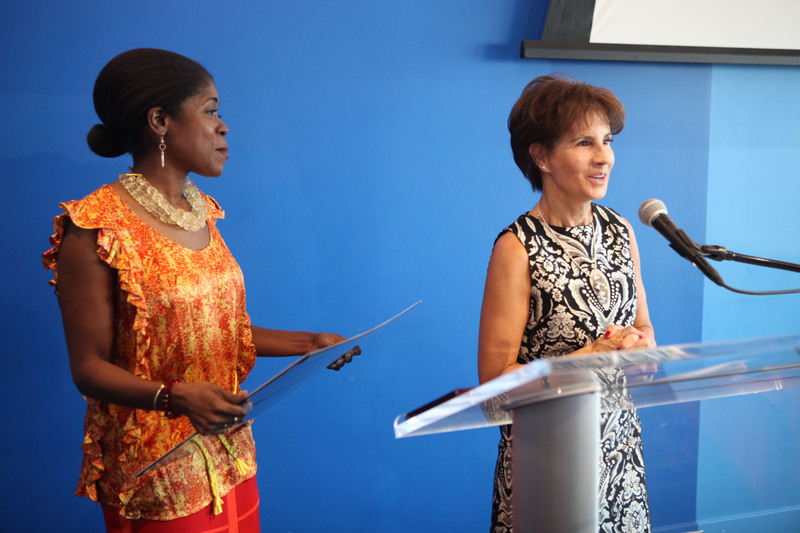 NEW YORK CITY JUNE 25, 2017 - Lisa Cosimano Gallagher, COO of Hawtan Leathers accepts the 2017 Fleur De Vie award from Dayanne Danier, co-founder of Fleur De Vie. The organization supports non-profit initatives in Haiti and commended Hawtan Leathers for its "tireless service to the communities of Haiti." NEWBURYPORT MA JUNE 6, 2017 - Hawtan Leathers, a manufacturer of fine leather with headquarters in Newburyport, was recently selected as a 2017 Fleur De Vie honoree by the Fleur De Vie organization, which supports the initiatives of not-for-profit organizations in Haiti. PORT AU PRINCE, HAITI NOVEMBER 1, 2012 - Boston MA leather manufacturer promotes health and education among Haitian youth. BOSTON MA, Nov 16, 2011 - Cuirs Hawtan S.A. (Haiti) is proud to take part in a special evening supporting Aksyon in Boston's 2011 Fundraiser "Contemporary Haiti" at the Museum of Fine Arts. PORT AU PRINCE, HAITI January 15, 2010 - Fox News report: Cuirs Hawtan facility becomes an emergency shelter for victims of the devastating earthquake.